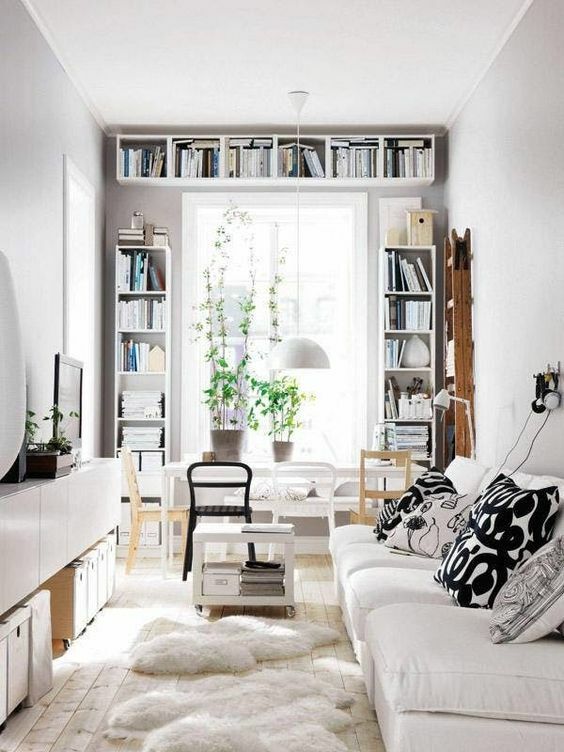 Are you thinking to remodel your house? Start off by concealing the ugly bits of your home like generator, external heating and ventilation unit, exposed pipes, cords and your dishwasher! 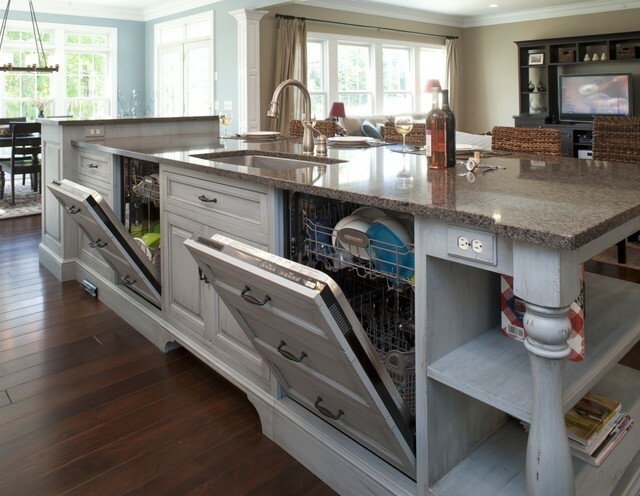 The easiest way is to purchase good-looking, modern dishwashers from AJ Madison, but if you’re looking for cheaper options, these 7 creative ways will help you beautify the appearance of your dishwasher. You can conceal your dishwasher under an existing counter and laminate the tops with marble or granite, so that all the counters align with one another seamlessly. The challenge with this is that the existing counter needs to be the exact size as your dishwasher otherwise it won’t fit in properly. Readymade contact paper is a cost-effective option to upgrade the look of your kitchen. These contacts come in a variety of textures, shapes and colors to camouflage your dishwasher perfectly. Achieve a stainless steel or wooden look for your less expensive model of dishwasher with a simple contact paper. Cabinet panel is yet another low-cost way to help your dishwasher blend in with the existing cabinetry. They come in typical kitchen colors and textures like white, almond, rustic wood and shiny stainless steel to fit right to your dishwasher door. If your kitchen holds an island counter, it’s better to place your dishwasher beneath it. Why? Because unlike other counters that face you directly when you enter the kitchen, the island counter has multiple dimensions, so your dishwasher won’t be easily noticeable. Moreover, an island counter becomes a spot where dirty dishes are dropped, therefore, having a dishwasher near will make clearing up more convenient. You only need to make sure there are no plumbing restrictions. Working pantries are getting more popular in modern homes as way to shift all the mess away from the main kitchen. Hence, if your home contains a walk-in pantry, move your dishwasher in there to keep your kitchen spick and span. 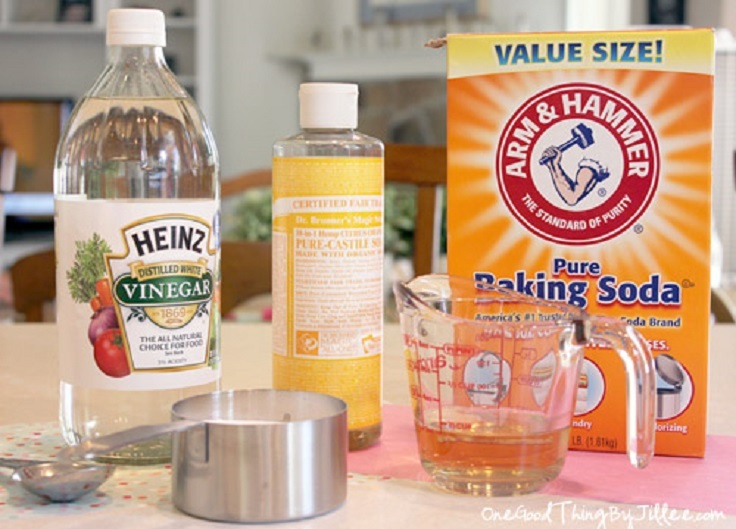 You can also install a second sink in the pantry to leave your kitchen out of all the cleaning process. Appliance-friendly paints are available easily to cut down your costs on home décor. 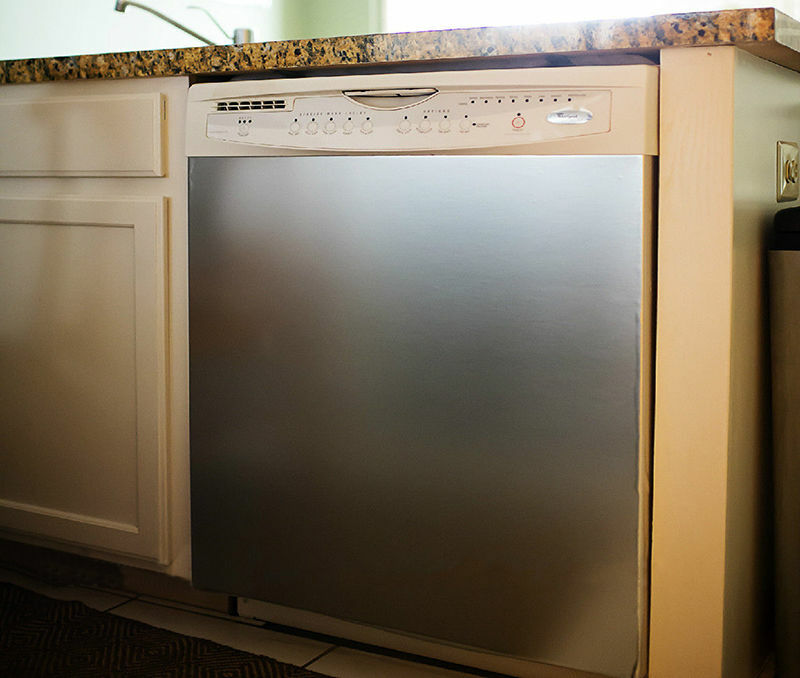 Appliance painting is the most affordable way to disguise your dishwasher among the existing kitchen cabinetry. With paints, you get an endless possibility of colors that can complement your kitchen’s interior. The best part is that you can easily redo the paint if you get bored after some years. Appliance paints stay on for a long time. 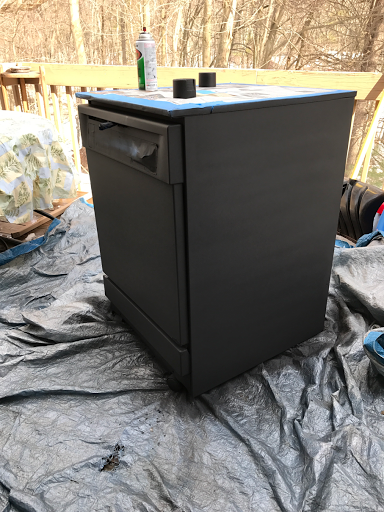 Pro Tip: Apply a coat of primer to the surface of your appliance first, so that the paint adheres to it. Lastly, creating a custom cabinet is another option to conceal your dishwater. However, it is the most expensive one. 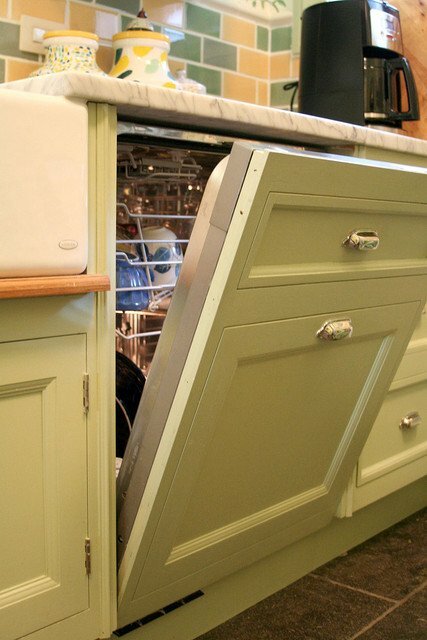 You can style the dishwasher door as multiple cabinets or as a kitchen drawer that opens in one piece. No doubt, it is a little pricey, but the look is sure to wow anyone who visits your kitchen.